Things you can do to make your facebook use more secure. First: all the data that’s being scraped? 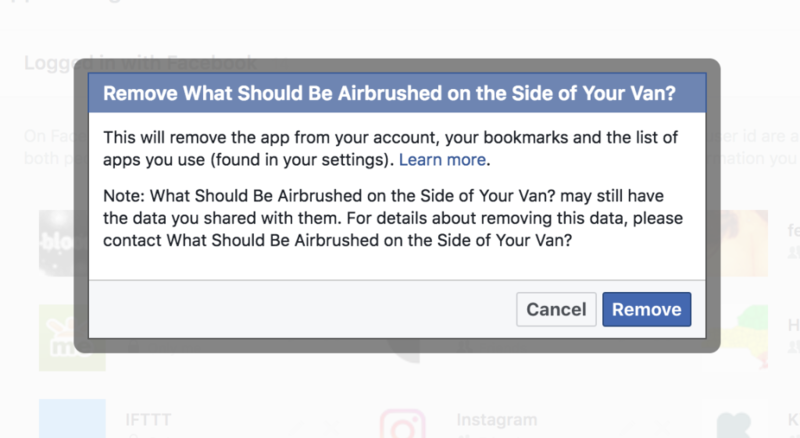 We each put it up there, and worse – we’ve essentially given permission to companies to scrape it when we connect apps to our Facebook. You can manage a lot of this in your settings. 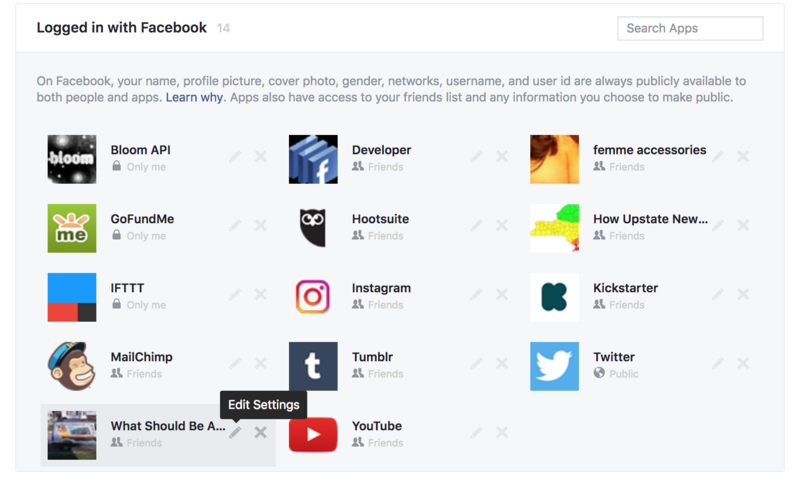 Check the apps you’ve given permission, via FB, to scrape data from your profile and then delete random apps or restrict permissions. For example, I’ve cut down my apps list (shown below), but it seems I’ve given a LOT of permission to see my data to an app called “What Should You Airbrush on the Side of Your Van.” Yikes! This is not only me being very myself, it’s a CIA bot for all I know. Let’s revoke all of that right now. If you’re feeling stressed and have some time, you can also contact the app developer (*get the app ID before you delete it) and ask them to remove your data – but I’d personally opt to just remove everything you don’t really want/need and keep it moving. 3. Restrict the amount of information FB can give to ads. You can give ads less info about you! And also seeing what you’re “categorized” as is verrrrrry interesting. 4. Unsubscribe from “interest-based ads” by IP address and browser. *Pro-tip: do this on your home wifi network for maximum blockage, and for each browser you use. 5. Revoke a FB-connected phone number. I’d recommend not connecting your phone with FB in the first place. It’s been 10 years and I haven’t NEEDED my # to use FBF. They don’t need your darn phone records, ya know? 6. Heck, while you’re at it – just block ads and trackers in general using the EFF’s Privacy Badger extension. As your local nerd, I want you to be in power, not paranoia, about your data and internet use. It’s ok to use social media – just be informed about what permissions you’re giving and where your data is going.